I just read Nameen Gobert Tilahun’s excellent article in Fantasy Magazine about a recent list of top 25 Black superheroes. It got me thinking about the relative lack of Latino superheroes (though there have been more recently), and the stereotypes and other oddities about the way Latinos are often featured in comics. And of course it got me thinking, “who are the biggest Latino superheroes?” Here’s my personal top 12, ranked according to a highly unscientific combination of popularity, importance, and my own personal fondness (or lack thereof) for the characters. #12 Rictor/Richter (X-books): Rictor is a relatively minor character in the X-universe, but I remember him fondly from my 80s childhood. He was a young mutant with the power to create earthquakes, and started out as a trainee with X-factor, and then migrated from X-book to X-book (X-terminators, New Mutants, X-force, and I think recently he’s back with the current incarnation of X-factor.) Rictor was cool (at least at first) because he was a visibly Latino character who wasn’t a blatant stereotype. 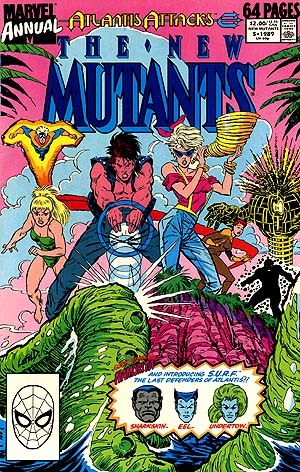 After I stopped reading X-force (even as a teenager I was turned off by Rob Liefeld’s hackneyed writing), there was apparently some plotline about his Mexican family dealing arms. Doesn’t sound very promising, and if it was written by Liefeld, I doubt it was handled with any subtlety. 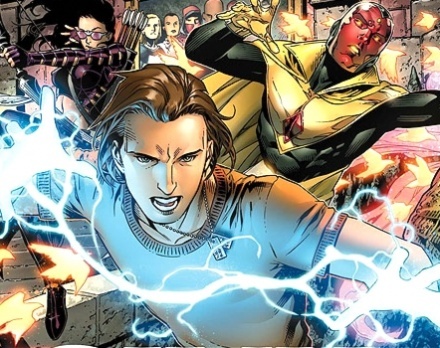 It took me quite a while to find a pic of Rictor as I remember him. A leather vest with no shirt … kind of a hot anti-costume, but could you get away with that even in the 80s? Considering that the X-books are single-handedly responsible for like 75 percent of the diversity of the Marvel Universe, it’s surprising there haven’t been more X-Latinos. But I haven’t been keeping up well with most of the X-books lately (there are just too many of them), and I’ve heard in recent years they’ve featured some other Hispanic characters, like Empath, Cecilia Reyes, and Skin. 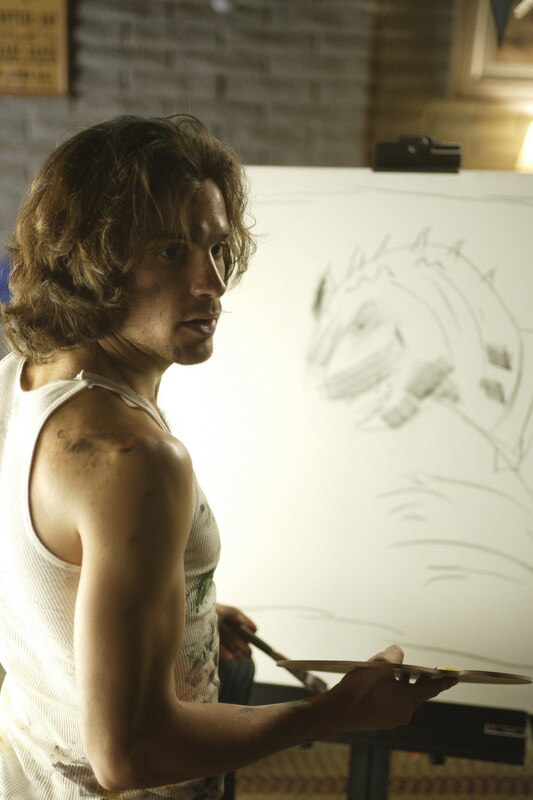 #11 Isaac Mendez (Heroes): From the first season of Heroes Isaac had the power to paint the future. His heroine addiction (he could only paint the future while high) was a bit of a stereotype as well as a low-hanging fruit for the writers, but Santiago Cabrera’s performance was strong, and I thought the character had potential until they killed him off. No, I didn’t include Maya and Alejandro from season two of Heroes … they were just way too annoying for me. #10 The White Tiger: The original White Tiger was a B-list Puerto Rican superhero created in the 1970s. That was before my time, and I suspect the early stuff with the White Tiger is now pretty dated, but I’m pretty sure he was the first Hispanic hero in the Marvel Universe. More recently, Brian Michael Bendis did a story in Daredevil about the White Tiger’s niece, FBI agent Angela del Toro, who inherited her uncle’s mystical amulets. Angela is initially skeptical and uncertain about the amulets, but after some advice and training from Daredevil, she took up her uncle’s mantle as the White Tiger and was later featured in her own limited series. It was a cool update, making the character relevant in the 21st century. 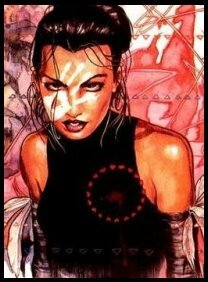 #9 Echo (aka Ronin of the New Avengers): Maya Lopez (Echo) first appeared in Daredevil in 1999. She’s a rare achievement for a new superhero in that she actually has a fairly original power–she can perfectly imitate any action or skill she sees, whether it’s Daredevil’s acrobatics or flying a Quinjet. This, combined with her deafness, made her an interesting converse of Daredevil’s blind supersenses. Initially, the Kingpin tricked her into going after Daredevil, but she’s now a member of the New Avengers and is one of the more interesting new characters in comics. While Joe Quesada and David Mack created her, it was Bendis who brought her into the Avengers. Kudos to Bendis and Quesada for making the Marvel Universe a bit more reflective of the diversity of our universe. 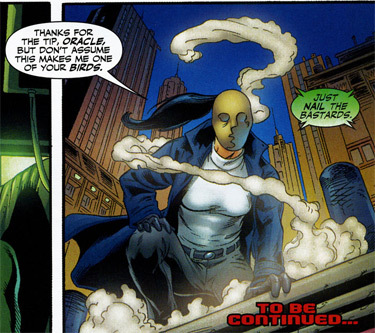 #7 The Question: The original Question was recently succeeded by Renee Montoya, a Gotham City cop turned vigilante. She’s Dominican and also an out lesbian, who’s been both lovers and occasional crime-fighting partners with Batwoman. How hot is that? I don’t keep up with DC that well, but I’ve seen the Question in Final Crisis, and the little I know of her makes me want to check out more. 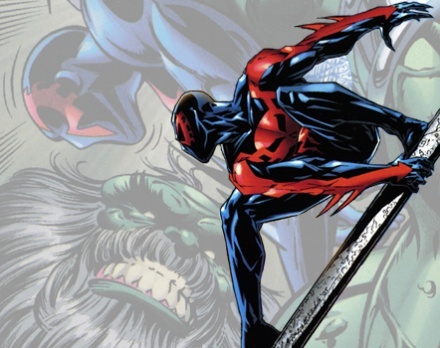 #6 Spider-man 2099: In 1992, Marvel created 2099, a line of comics about superheroes 100 years in the future. The future version of Spider-Man was geneticist Miguel O’Hara. The 2099 universe was short-lived in its popularity, but Miguel was probably one of the first Latino characters to be featured so prominently. transcending his programming and being the only Latino robot to make the list. It’s about time we saw a greater diversity of robots in science fiction! 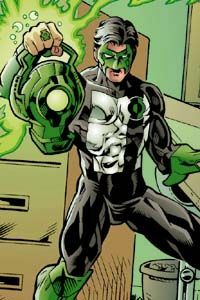 #4 Kyle Rayner (Green Lantern, Ion): Kyle became the new Green Lantern after Hal J ordan had a Phoenix-like turning-evil-and-nearly-destroying-the-universe breakdown and died. (He’s back now and feeling much better.) I read the early issues that featured Kyle and enjoyed them. He was different from previous Green Lanterns in that he was not “without fear” but this turned out to be an odd sort of strength in that he faced down his fears. It was also cool that he discovered that the color yellow was not actually a weakness of the ring’s power (which always seemed sort of silly) – the only real limitation of the ring was its wielder’s imagination. In the early stories, his ethnicity wasn’t featured prominently (and maybe not even mentioned), so I don’t know the details of how that was handled. To be honest, it seems like his half-Mexican heritage was a bit of an afterthought, but he’s an interesting character, and it’s kinda cool having a Latino in the iconic role of a Green Lantern. #3 Spy Kids: Yes, I do mean the 2001 family action movie and subsequent sequel. Carmen and Juni Cortez are two ordinary kids until they discover their “boring” parents (played by Antonio Banderas and Carla Gugino) are actually spies. The brave Juni and Carmen unexpectedly have to rescue their kidnapped parents and save the world. It’s not just that all the heroes are Latino – there’s a uniquely Latino sensibility to the over-the-top sense of fun and unabashed fear of corniness in the Spy Kids movies, which were written, directed, and produced by Robert Rodriguez. 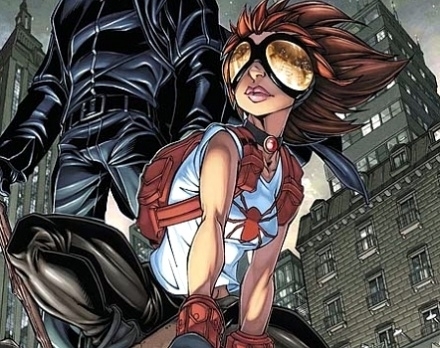 #2 Araña: Araña is a teenager in Brooklyn who discovers she has Spider-like powers and joins the mystical Spider Society to battle the would-be world-conquering Sisterhood of the Wasp. Sounds corny, but it’s actually well executed, and was just a good, fun read. Unlike most of the other characters on this list, Araña‘s ethnicity is neither invisible nor rooted in sterotypes. She speaks Spanglish, struggles to balance her studies and social life with her battles against the evil Wasps, and has an interesting relationship with her Dad,– a journalist who seems to have a lot of integrity (although he’s s a bit overprotective at times). Clearly a take-off on Spider-Man (who guest-starred in an early issue), Araña had the same entertaining contrast of high school blues and superhero battles as Ultimate Spider-Man or the early days of the classic 60s Spider-Man. Unfortunately, the series didn’t last long, but maybe she’ll make a comeback. 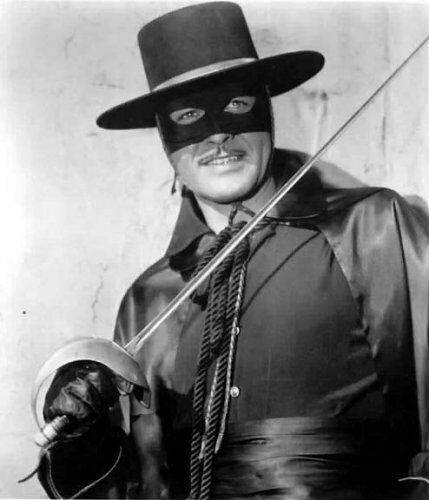 #1 Zorro: I’ve never been a huge Zorro fan, but there’s no doubt that he’s the most influential Hispanic character in the world of superheroes. Created in 1919, he was one of the major precursors to the modern superhero, and undoubtedly influenced later characters such as the Phantom, the Lone Ranger, and Batman. It would be interesting to go back and read some of his early pulp appearances and see how they hold up. As you can see, this list has a slant toward the stuff I read more of–heavy on Marvel, light on DC and indies, and biased toward the time periods when I happened to be keeping up with comics. One thing that’s definitely missing is any of the characters from Milestone, a line of comics devoted to bringing more diversity to the world of superheroes. I’ve heard they were well-written, but I just wasn’t reading comics at that point. There are a few notable trends that stood out as I made this list. The big one is how recent most of these superheroes are. The White Tiger, Rictor, and Zorro are the only ones that pre-date the 1990s. I tried to think of other early heroes like the White Tiger, even if they were stereotypical, but the truth is all the ones that came to mind were villains. When I was a kid reading comics in the 80s, the main Latino characters I encountered were Spider-man foes like the Tarantula or the Lobo brothers–villains with thick accents who specialized in gang wars and drug deals. Perhaps in a sign of how depictions of Latinos in comics have begun to shift, Marvel recently re-made the Tarantula as a female superhero. The other somewhat disturbing trend is the overwhelming dominance of white or light-skinned Latinos. Latino (or Hispanic) is a category describing a (very broad) cultural group, not a racial category or a color. It’s too bad that comics, like so many other media, are so unlikely to depict Latinos who are Black or even Brown. So that’s my list and assorted thoughts. I’d love to hear any others you think I missed! UPDATE: I’ve heard that the latest Blue Beetle is Latino, and that last year Marvel introduced an all-Latino team of heroes, Eleggua and the Santerians. This entry was posted in Comics, Pop culture and tagged Arana, Green Lantern, Hispanics, New Avengers, Runaways, Spider-man, Spy Kids, superheroes, the Question, Zorro by benfrancisco. Bookmark the permalink. great selections! this inspired me to post on how i used Araña in my teaching on my blog. I love that you included Spy Kids on the list – good call! I knew Arana would be up there too. I would like to make a request that you do a list for LGBTQ characters or perhaps moments. Whoa! Batmanuel is a completely new discovery for me. Must find old Tick DVDs…. Our Furniture Store has one of a kind living room, bedroom, dining room, and patio furniture. For those who cannot get a hold of modern furniture in their state, you should definitely consider us to be your provider. People from the Midwest, this means you! We would like to invite you to browse our huge selection of modern sofas, platform beds, contemporary dining sets, and cool looking patio furniture. Our furniture stores are located in Los Angeles, but we ship nationwide to big cities like Dallas Atlanta New York New Jersey Chicago Miami and Las Vegas. Some of our furniture is eligible for free shipping nationwide. Please do not hesitate to call LA Furniture Store and speak to one of our friendly customer service representatives who are standing by. Add to bookmarks. Now I will read more often!